To help demystify the process of psychotherapy, I have provided a thorough explanation of some of the major components of therapy as it typically occurs in my practice. The first session will be used as an initial consultation. During the consultation, I will gather specific information about what brings you into therapy. We will try to identify the triggers, thoughts, physical feelings, and behaviors associated with the distress you are experiencing. I will also ask general questions regarding your social relationships, psychological and physical health history, and social/occupational functioning in that reducing emotional distress often includes addressing any problems that may exist in relationships, at work or school, in physical health, with sleep, with nutrition, or in finding meaning in life in general. The information I gather during the initial evaluation will be used to develop a treatment plan. The treatment plan will include explanations of the treatment approach and expectations for treatment. As the therapist, I will provide expertise in psychological strategies, whereas, as the client, you will provide expertise regarding your own psychological functioning, life experiences, preferences, and types of strategies that have worked for you in the past. The particular treatment approach will be tailored to your own individual needs and will vary depending on your presenting issues and concerns. We will also have to go over forms that explain treatment, payment, and privacy and that release necessary information from relevant providers. Any questions and concerns regarding treatment will be answered fully at this time. In the case that I find that you would benefit most from a treatment approach that I do not provide, I can assist you in finding more appropriate treatment providers. If requested, I will be able to provide your new provider with information from our consultation session. You are under no obligation to continue therapy at any time. I use an insight-guided cognitive behavioral therapy. The therapy is insight-guided in that treatment involves increasing self-awareness of factors that may be contributing to your experience of distress. These contributing factors may be biological vulnerabilities, past experiences, family relationships, personality styles, or external stressors. The goal is to develop an understanding of how problematic anxiety developed and ways you have learned to cope with it. The therapy is cognitive behavioral in that it involves shifting patterns of thoughts and behaviors by making your responses more flexible. When your brain perceives danger it becomes rigidly focused on generating thoughts, feelings, and behaviors that are meant to protect you from imminent harm. The problem is that these anxious responses can lead to greater problems and greater distress if there is no flexibility in your responses, such as when there is no immediate danger but your brain continues to behave as if there is. Though our brains may generate automatic thoughts and reactive responses to anxiety, we are also capable of training our brain, essentially changing neural connections or brain activity, so that alternative perspectives or new habits become a part of this automatic response. Considering different perspectives and practicing new behaviors requires time and effort, but eventually they will begin to feel more natural and automatic. Old patterns of responding do not necessarily go away, but rather you may be able to recognize the old patterns and choose to respond differently. Because there are specific strategies to be taught and practiced, therapy tends to be active. This means that I take an active role in shaping each session and will come to each session with a plan based on our last meeting while also taking into consideration your needs for the session. Do not worry if you do not feel prepared for such an active therapy, have doubts about the therapy, or have confusion over how to proceed. Part of therapy is addressing these concerns. There is a strong educational component where you will gain knowledge to make you an expert on anxiety, its causes, and its treatment. There will also be strategies that are practiced in session and between sessions. At the beginning of each session, we will review how practice went between sessions, and at the end of each session, we will spend a few minutes reviewing what we have covered that day and what you might want to work on between sessions. Such an active approach may lead to a temporary increase in anxiety at the beginning, but with time, knowledge, and practice, your anxiety should begin to subside in the long run. Therapy can be quite a challenge, but my job is to motivate, support, and coach you through the process. If at any time, you find that therapy is not progressing to your satisfaction or I feel that I am not the best therapist or CBT is not the best approach to meet your needs, I will do my best to provide you with referrals to other providers. This is not meant to be a replacement for treatment, and a mental health professional or a more thorough self-help book should be consulted for the details regarding the implementation of each strategy. Before engaging in therapy, it will be important to come to an agreement regarding your goals in therapy. My perspective is that anxiety, whether in the form of mild unease or as an occasional anxiety attack, is likely to come and go throughout life, and therefore, the goal of eliminating anxiety is not possible nor is it recommended. Rather than eliminating anxiety completely, a realistic goal would be to reduce the intensity, frequency, and duration of anxiety attacks so that even if anxiety attacks were to occur, they will not be as severe, will not happen as often, and will not last as long as previous attacks. As part of setting goals, it is important to identify values that give life meaning. Meaning can come from family, intimate relationships, parenting, social life, work/career, education, leisure activities, spirituality, community life, or heath goals. Identifying those areas that give life meaning can help increase motivation for treatment and give perspective on how anxiety interferes with living a fuller, more meaningful life. The most important strategy for long lasting change is practice. Anxiety management is not meant to be a temporary change, but rather it is meant to be a life style change for life long change. Practice is necessary for rewiring the circuitry of the brain to make it more resistant to anxiety, and some parts of the brain seem to learn best through experience, not logic or debate. Therefore, regardless of the strategy you focus on, make sure to practice it on a regular basis. The section on Understanding Anxiety described the three components of anxiety being the thoughts, feelings, and behaviors that contribute to the experience of anxiety. Cognitive behavioral therapy addresses each of these components via education, cognitive skills training (thoughts), somatic management skills (feelings), and behavioral strategies (behaviors). EDUCATION regarding the causes and treatments for anxiety can provide peace of mind, a sense of control, and motivation for treatment. There should be no mystery or complexity in the explanations and treatment. This is why I provide detailed information about anxiety on this website (see Understanding Anxiety) and more in therapy. By knowing what is happening in your brain and body, catastrophic worries about anxiety can decrease, and you will be better able to tolerate the uncomfortable and distressing feelings associated with anxiety and will be able to reconsider avoidance behaviors that maintain anxiety. Truly, knowledge is power when it comes to anxiety management. COGNITIVE SKILLS TRAINING involves identifying thoughts that increase anxiety through the practice of self-monitoring. Becoming aware of the thoughts that contribute to anxiety and seeing where they might have come from can itself diffuse some of the anxiety and can also help you see ways in which certain thoughts contribute to the experience of anxiety. Once the anxious thoughts are identified, it may be easier to see ways in which the thoughts may be exaggerated, catastrophic, unhelpful, or biased. Learning to identify patterns of thinking that occur when anxious can help keep the anxious response in check. The primary goal of this stage is to Observe and Learn. Developing a flexible thinking style that allows you to evaluate your situation and consider other perspectives is a skill that is developed over time. Therapy can help you identify alternative, less anxiety provoking, perspectives. Alternative perspectives do not have to be overly positive. In fact, they are more effective if they are 100% believable and 100% possible. There are various strategies used in therapy to help with cognitive skills training. The goal here is to Observe and Wait. By learning to sit with the thoughts, without immediately reacting, you will be able to implement strategies that can help you consider other possibilities. For example, if you are overwhelmed by worries before a presentation, saying to yourself, “I won't make any mistakes and everybody will love my speech,” may not be as effective in reducing your anxiety as, “That is my anxious voice speaking. I tend to think of unlikely, worst case scenarios when I'm anxious. I've been like that since I was a kid, but I don't have to continue to be that way. I’ll try my best, see how it goes, and hopefully some people will enjoy my presentation. If not, I’ll be upset but will handle it and will learn something from the situation.” Better but believeable thoughts tend to be much more detailed, but eventually with practice all that self-talk can be condensed into, "Try my best." The best way to rewire the circuitry in the brain is to practice sitting with your thoughts and consciously deciding to consider other interpretations to strengthen those pathways. The thoughts we are used to thinking occur automatically and habitually, as if there is a pathway tread into the grooves of our brain. To pull your mind out of this frequently used pathway and to develop a new pathways, new perspectives, can take some effort at first but with practice can become more natural and automatic. BEHAVIORAL STRATEGIES include exposing yourself to situations that induce anxiety in a controlled manner thus allowing you to challenge your fears and develop confidence in your coping skills. If anxiety is the problem, why would you put yourself in situations that make you anxious? The reason is that anxiety is not necessarily the problem. Avoidance is the problem. By avoiding or escaping situations that make you anxious (which is a reasonable reaction to fear and discomfort), you can find yourself missing out on meaningful life experiences. You also lose the opportunity to have a new experience, to teach your brain and your body that you are safe and that you are capable, and to change neural connections. Avoidance and escape preserve the wiring in your brain that leads to anxious responding. Exposure can help you build your tolerance to the physical sensations associated with anxiety and will teach you (your brain, your amygdala) that the sensations and the situations are not dangerous. Exposure will help you break the connection between the feared situation and the anxiety response as new learning occurs. Exposure will also allow you to challenge negative predications about what might happen in your feared situations. It seems that logic only goes so far in changing how our brains react to anxiety provoking situations. For exposure to be effective, a moderate level of anxiety needs to be experienced. It may be that the neural circuits need to be activated for real change to occur in the part of the brain that reacts to fear (the amygdala). Also, minimal anxiety will provide a minimal learning experience whereas too much anxiety can overwhelm the system. A moderate amount of anxiety means that the brain circuits are activated and ready for new learning experiences. It becomes an opportunity for new learning. Prior to any exposure strategy, it is important that you become well versed in the education regarding anxiety and the cognitive interventions mentioned above so that you are not adding fuel to the fire with anxiety igniting thoughts. It is also essential that you have learned and practiced some coping thoughts to help you through anxiety provoking situations. Various strategies are used in therapy to identify feared situations and help you prepare to reintroduce these situations into your life in a safe and controlled manner. SOMATIC MANAGEMENT SKILLS refers to strategies that are used to help calm general physiological arousal. Sleep - The benefits of adequate sleep and regular exercise cannot be emphasized enough as they are critical in reducing activation of the amygdala and the sympathetic nervous system. Without adequate sleep and exercise, the mind and body become unstable and vulnerable to anxiety. Extended, uninterrupted sleep seems to be most important in reducing anxious activation. The Cognitive Behavioral Treatment for Insomnia (CBT-I) has been shown to be highly effective in the treatment of insomnia. Those with insomnia may need more than basic sleep hygiene recommendations to help them recover sleep skills that they may have lost. CBT-I involves techniques to help you recalibrate your internal clock, reestablish your bed as a sleep cue, increase your sleep drive, and challenge anxiety provoking thoughts that disrupt sleep. Exercise - Regarding exercise, 20 minutes of aerobic activity may be sufficient in reducing anxious activation. By exercising, you are engaging in the fight or flight response (at least the flight part), thereby releasing the energy that is being built up in your body for that very purpose. Exercise has also been known to be involved in the release of endorphins, which are neurotransmitters in our body that trigger positive feelings in our mind and body. Regular exercise may also decrease the sensitivity of the anxiety response in general. Aerobic exercise has been found to be related to increases in the levels of glutamate and GABA in the brain. GABA is an inhibitory neurotransmitter that dampens the anxiety response and levels of glutamate, whether low or high and depending on which part of the brain, has been associated with anxiety and depression. The findings are preliminary and the mechanisms still not thoroughly understood, but the finding that exercise is associated with changes in the brain is promising. Relaxation – There are a variety of relaxation exercises that have been developed to manage anxiety by slowing our breathing, relaxing our muscles, and calming our mind. Relaxation exercises can involve tensing and releasing muscles, visualization, meditation, yoga, or breathing exercises. The goal is to find the relaxation exercise that works best for you, and the only way to make that decision is to try various relaxation exercises. Before you decide a certain exercise is not effective, remember that relaxation is a skill that needs to be developed. Our brains are like a muscle that needs to be trained, and just as in physical exercise, the more you do it, the better you become at it. Eventually, just closing your eyes and settling into a relaxing pose can automatically trigger a relaxation response in your body. Click here for a thorough description of the most effective relaxation strategies for anxiety. Mindfulness refers to the practice of being aware of and focused on the present moment. The present moment can be your internal thoughts, feelings, or physical sensations or simply the sights, sounds, smells, tastes, and sensations of the world around you. The idea of mindfulness can seem frightening to those with uncontrollable anxiety who have developed the protective habit of shutting out the present moment, or it can seem impossible to those whose minds latch on to regrets over the past or fears of the future. Though it may be challenging in the beginning, mindfulness is a skill that can be developed with practice. It is an active learning process that can train the brain and change your relationship to the present moment. Rather than reacting to anxiety automatically or unconsciously, you can learn to focus your attention and observe your experiences and reactions. This nonjudgmental awareness gives space for anxiety to slowly dissipate on its own thus allowing the relaxation response of the parasympathetic nervous system to kick in and your brain the opportunity to calm the fear response. The goal is not to escape anxiety but rather to limit the fuel that is added to the anxiety and to keep from further igniting the anxiety response. Mindfulness has been a powerful addition to cognitive behavioral therapy. Mindfulness Based Stress Reduction (MBSR) and Mindfulness Based Cognitive Therapy (MBCT) have both shown positive effects in treating a variety of mood disorders. In addition, brain imaging studies have found mindfulness practice to be associated with decreased amygdala activation which is responsible for the fear response. Brain imaging studies have also found mindfulness practice to be associated with changes in brain structures associated with learning, memory, and mood regulation. Mindfulness often starts with learning how to focus on the breath because the breath is rooted in the now, not in the past nor in the future. Focusing on the breath is also a way to increase awareness of one's body, allowing the mind and body to reconnect. Each time your mind wanders from your breath, you have an opportunity to gently teach your mind how to refocus, how to observe, and how to allow thoughts to pass through without getting caught up in them. This helps you develop the ability to observe anxious thoughts without immediately reacting to them and gives you the space to respond in a way that does not add more distress to the situation. Mindfulness can include focusing on not only the breath, but on thoughts, sounds, tastes, or an entire experience. Mindfulness can be done in short 5-minute sessions and can be done throughout the day in a variety of settings - while brushing your hair, while waiting in line, while eating, while washing the dishes. It is a process where you pull yourself out of autopilot and learn to re-experience life in the moment. Simple yet profound. Click here for a thorough description of mindfulness based cognitive therapy for anxiety disorders. Biofeedback is a therapeutic technique that can be used to help manage symptoms related to anxiety, stress, insomnia, and chronic pain. 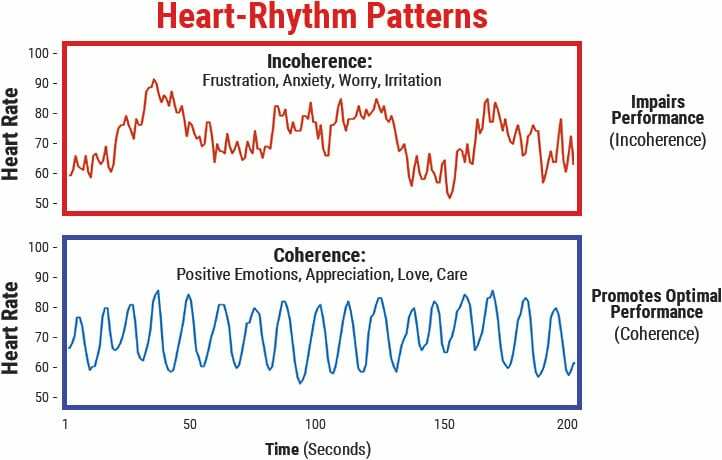 By using a specialized heart rate monitor, you will be able to see a visual representation of your heart rhythm patterns and learn how to create heart rhythms associated with focused attention, calm relaxation, and positive emotions. Biofeedback is not a cure or a treatment but rather a training technique that is, in a sense, a short-cut to learning deep relaxation and meditation. By getting immediate feedback on a monitor, you will quickly learn how your body responds to stress so that in the future you are more aware of your internal sensations association with stress allowing you to catch it earlier in the cycle. In addition, you will be able to learn how to implement various relaxation techniques and get feedback that it is having a positive impact on your body system. Essentially, your heart rate speeds up and slows down in a rhythmic pattern leading to variability in your heart rate (HRV). Heart rhythm patterns associated with stress, anxiety, and anger are shallow, jagged, and irregular whereas heart rhythm patterns associated with calmness, focused attention, and positive emotions are smooth and wave-like indicating that your heart rate is increasing and decreasing in a rhythmic fashion. These smooth waves appear when your breathing and your heart rate (two powerful systems in your body) are in coherence with each other. This in turn, leads to more coherence in your other physiological systems, particularly the autonomic system that is associated with the stress and relaxation responses. The smooth waves have also been found to be an indication of health and wellness, particularly cardiac functioning. In my practice, I utilize a simple heart monitor attached to your earlobe to give you feedback about your heart rate patterns and to optimize breathing techniques. Click here for a more detailed explanation of heart rate variability biofeedback. Click here for research publications on the relationship between heart rate variability and both physical and mental health. A medical evaluation is important to rule out any medical issues that may be contributing to psychological symptoms. A medical evaluation with a physician or a psychiatrist is also important for those with a complicated medical history, neurological problems, or an acute medical illness. Consultation with a physician or psychiatrist may also help you decide whether medications would be helpful. Medications have been shown to be an important part of treatment for severe mental health problems such as schizophrenia, bipolar disorder, and psychosis, but other problems such as anxiety or depression may be effectively treated with or without medications. Therefore, consultation with a medical or mental health professional who can discuss with you the costs and benefits of specific medications may help you decide whether medication is the right choice for you. A psychiatrist or physician will be the provider who ultimately decides whether a prescription is warranted. Click here for information regarding the use of medications for specific anxiety disorders. After you have started to develop effective coping strategies and have begun to experience a decrease in your distress, we will discuss the next step in therapy. Some clients find that the initial course of therapy is sufficient and are comfortable ending therapy so that they may continue to develop their skills on their own. Other clients find that they have difficulty consistently implementing strategies learned in therapy and appreciate the consistency of therapy, and thus continue therapy on a weekly basis. For others, therapy sessions can be spread out to once every other week or more to help generalize the treatment to day-to-day life. Your needs will be assessed regularly to determine what is the best decision for you. Some clients find that after the immediate crisis is resolved, there are other issues in their life that they would like to address (relationships, communication, life goals, self-esteem, fitness, assertiveness, family issues, etc.) If you feel a good relationship has been established in therapy, it makes it a natural decision to continue working on different issues that will help you achieve an optimal quality of life. If therapy is continued in this fashion, reevaluation of treatment objectives will occur on a consistent basis. I do not see therapy as providing an easy “cure” for “sick” patients, but rather as a way of motivating and coaching individuals on how to use their own resources to the best of their abilities to grow, gain insight, and solve specific problems.